Well it's been awhile but we are back. All's good, the shop has reopened and is humming along with a newer brighter look. Fortunately too all the old laughs and lies are still present and Bob is manning the helm as usual. 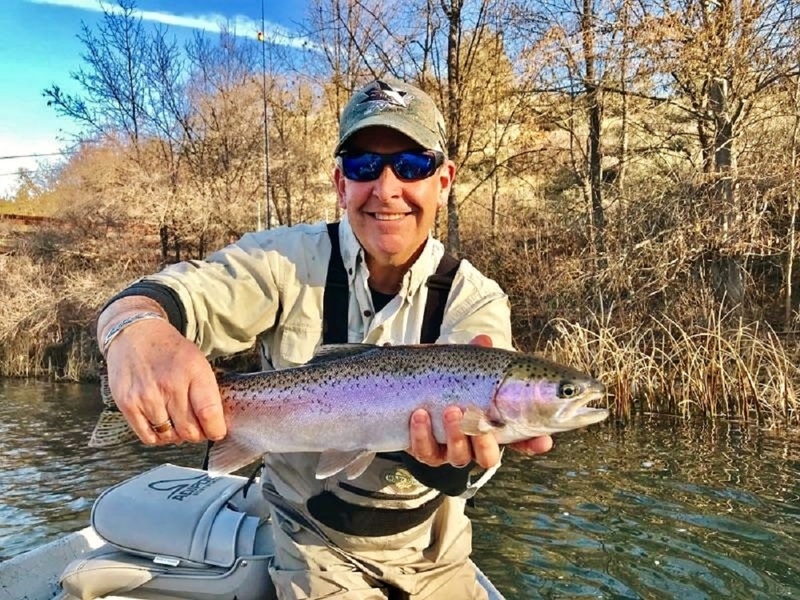 Compared to last year this mild Winter has opened up many fishing opportunities not only locally here on the Upper Sac but also all other nearby rivers that offer steelhead fishing. Chasing them has been the focus for a lot of us and the season certainly has not disappointed. Looking ahead February and March are prime months for these beasts so with the long range forecast showing no storms in sight guess what we are going to be doing....... and you should too. 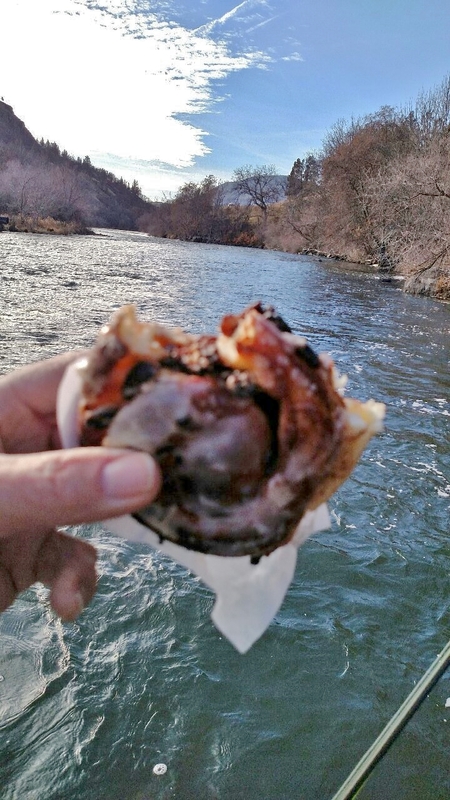 So far it has been a good steelie year on all the major nearby rivers with the Klamath River leading the way with a sustained strong return since Fall. In addition the Trinity, Rogue and coastal rivers have rewarded us with successful days. What a difference a year makes, come on up and enjoy the opportunities. Locally the Upper Sac is fishing well, the flows are very friendly (600 cfs) and some very big rainbows have been put in the net. It's predominantly a nymphing game but if the weather stays like this you will start seeing small stones, Caddis and March Browns appearing along with BWO's. The pressure has been very light and midday temps are in the 60's .... time to jump in on the fun! 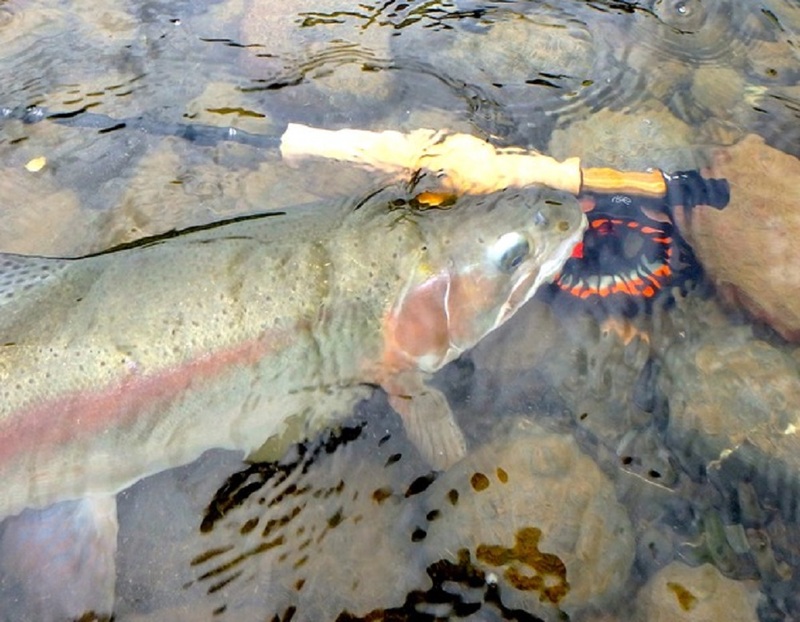 BTW the rainbows are beginning to spawn so beware of redds. The Lower Sac has also been a good option. Temps in the 70's, light pressure and plenty of fish. Flows are a constant 4000 cfs, much better than the 10,000 cfs we had to put up with last year. All in all it's has been an excellent Winter for fishing. Looking ahead to the trout openers around here you should be ready to get on the water from Day 1, our snow pack, which has a major impact on the early season with runoff, is nil so every river up here will be in prime shape and ready for you to have some fun ... mark it April 28. If you have any further questions please call the shop and when you are in the area stop in and say hello to Bob.